Today’s renters want (and sometimes expect) amenities that make their lives easier. Over the years, in-unit laundry has been a top-requested amenity by renters nationwide. Make this the year you make the investment. In-unit laundry may be more attainable than you think. 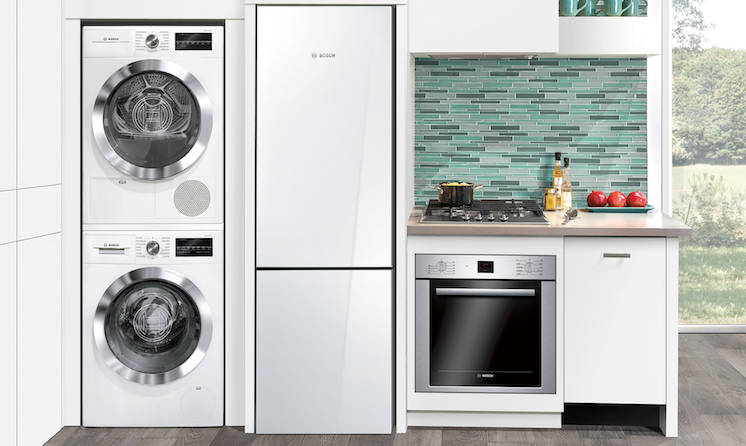 There are several high-quality appliances that offer a quick return on investment. And as ventless drying technology is adopted more widely in the United States, more properties can boast in-unit laundry at a low cost. Adding in-unit laundry is easier than ever before. Really. You can even install ventless stackable washer and dryer sets if your apartments don’t have existing laundry connections. The install process is easy and the long-term benefits far outweigh the initial investment. Laundry units can be as compact as 24”, fitting easily in closets and out of the way. Residents are willing to pay for convenience. That’s a fact. Trulia reports that in many large cities, residents will pay over $200 more each month just to have in-unit laundry. For more statistics and details about in-unit laundry, check out our Ventless Laundry Infographic. Energy savings - many models are EnergyStar® rated because ventless technology is highly effcient. Time savings - in-unit laundry saves trips to the laundromat or shared laundry space, allowing residents to do laundry on their own schedules. Space savings - when stacked, a stackable washer dryer set needs just over four square feet of space and can often fit in a closet. Although purchasing in-unit laundry appliances requires an up-front investment, most property managers see a significant return on investment within one to two years. Adding in-unit laundry commands an increase of $50-$100 per month, per unit (and sometimes more in larger cities!). In addition to standard annual rental increases, the returns add up fast. PLUS, offering high-value amenities attracts quality renters who are more likely to renew leases for years to come. Pro Tip: Work with a wholesale distributor. You can often negotiate discounts when purchasing in bulk. One of the largest benefits of ventless laundry is the fact that it can be installed just about anywhere. Because the machines recycle the heat they generate, there is no need to vent out hot air. That means no ductwork is needed to operate these appliances. Once you eliminate the need to install expensive vent runs or reroute existing runs, the labor savings in HVAC alone are considerable. Ventless laundry appliances operate a bit differently than their traditional counterparts. With this User Guide, your residents will be able to operate the LG Compact Washer and Ventless Condensation Dryer in no time.